Conversion of a former workhouse and edwardian library. The project involved the conversion of a former workhouse and Edwardian library into 6 houses, and the conversion of the 1960’s library building into 4 houses. Four further new apartments are to be built in the rear of the site. Whilst not listed, the street frontage forms the border of the Town Centre Conservation Area, and the former workhouse is locally listed. 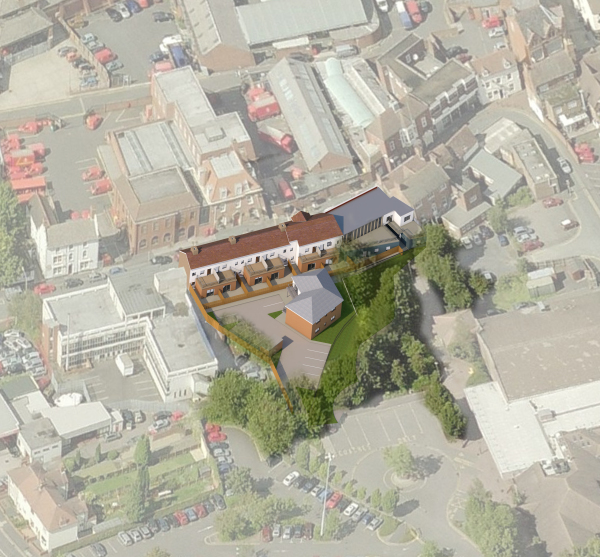 Permission would not therefore be granted to demolish these buildings, and it was a requirement that the buildings should be retained and converted, and the streetscape enhanced by their refurbishment.